Celebrating the epic within the everyday, Curious invited residents of Stratford-Upon-Avon, people who live their daily lives alongside the Royal Shakespeare Theatre and its seasonal procession of heroes and grand tragedies, to talk to them about what in their lives might move them to write a sonnet. From scores of encounters, 14 portraits were created in collaboration with acclaimed photographer Hugo Glendinning in places meaningful to the participants such as the seemingly ordinary location of an extraordinary first kiss. Marion and Peter. From 14 Lines by Curious. Photograph by Hugo Glendinning. 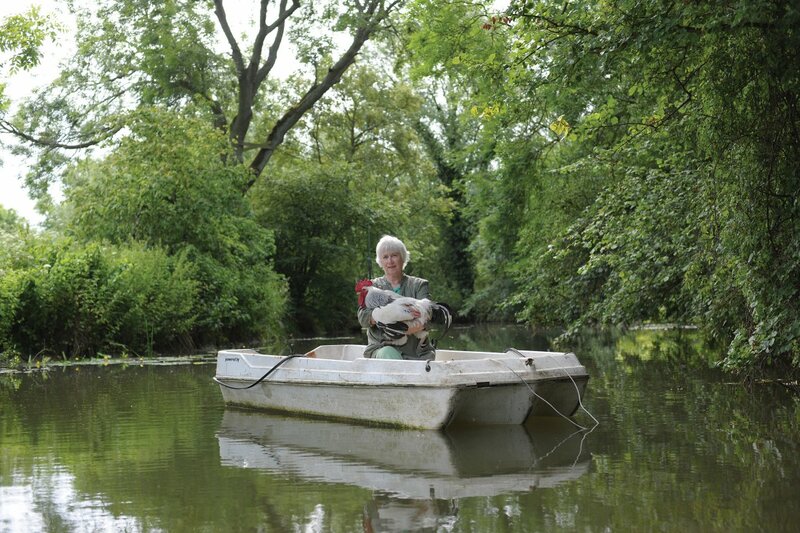 Sarah Hosking floats with her cockerel Sebastian Flyte, and celebrates the freedom to live as one choses. From 14 Lines by Curious. Photograph by Hugo Glendinning. 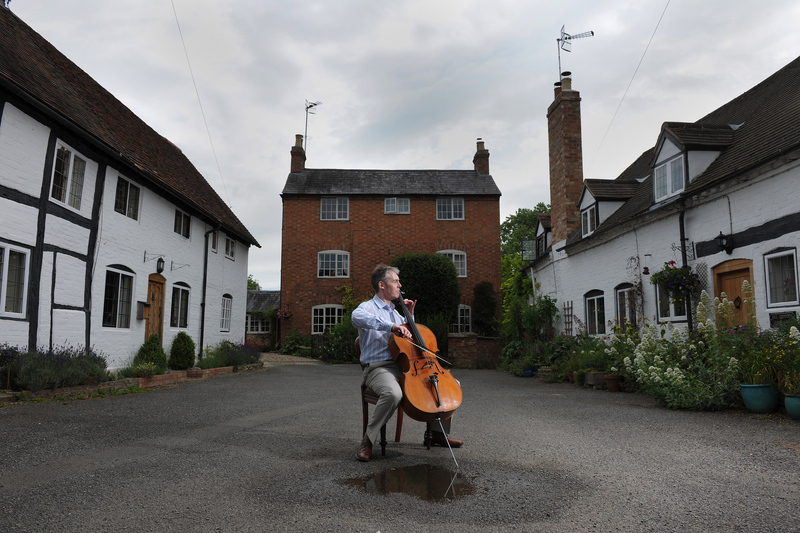 David Thomson plays the cello that was handed down to him from his mother and through which he met his wife Alison, a flautist. From 14 Lines by Curious. Photograph by Hugo Glendinning. John Jennings remembers his late wife Marianne, a Lass Unparalleled. From 14 Lines by Curious. Photograph by Hugo Glendinning. 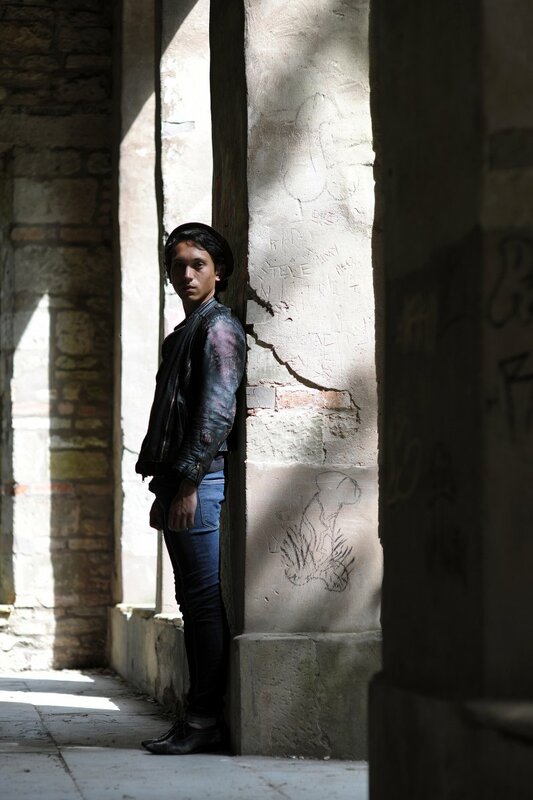 Ryan Tacata enjoys finding the chalked graffiti traces of the recent past in a town full of history. From 14 Lines by Curious. Photograph by Hugo Glendinning. A Curious work, commissioned by the Royal Shakespeare Company and supported by the Hosking Houses Trust. 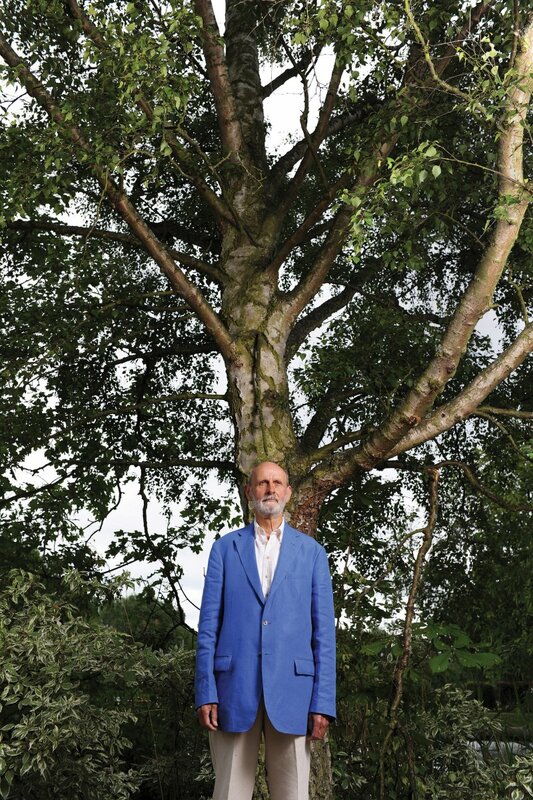 Photographs by Hugo Glendinning, view all 14 portraits. Soundscore by Graeme Miller. Produced by Artsadmin.